Item # 312358 Stash Points: 16,395 (?) This is the number of points you get in The Zumiez Stash for purchasing this item. Stash points are redeemable for exclusive rewards only available to Zumiez Stash members. To redeem your points check out the rewards catalog on thestash.zumiez.com. 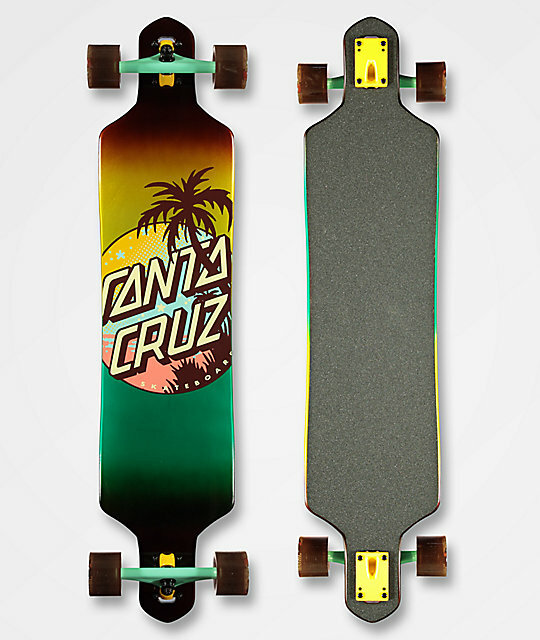 Roll around the board walk on a smooth cruiser this summer, the Santa Cruz Palm Dot 41" Drop Through Longboard Complete. This extremely long drop through set up features 72mm, 78a for a smooth ride with tons of traction over even the worst of terrain, while 180mm Bullet trucks keep your ride stable through all reasonable hill bombs. Finished with abec 5 bearings to maximize your pushes, this longboard complete is primed for more cruising and less pushing. 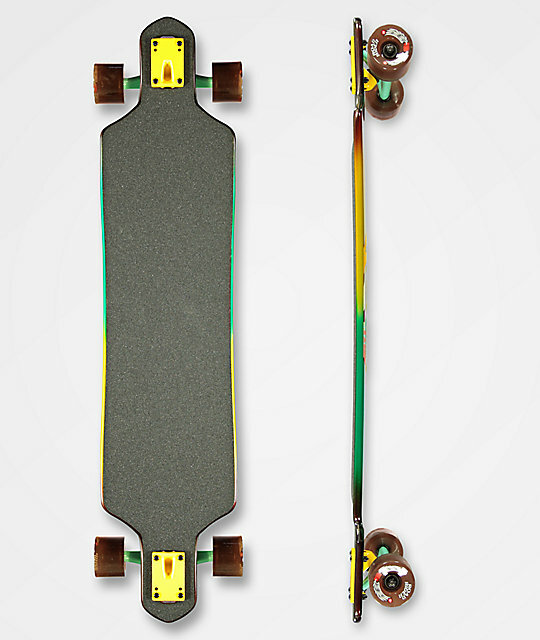 Palm Dot 41" Drop Through Longboard Complete from Santa Cruz. 72mm 78a Road Rider Wheels.